When it comes to popular tattoo symbols, there are a variety to choose from. 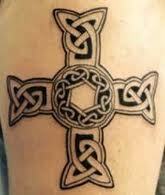 Men and women both can choose from thousands of tattoo symbols, designs, ideas, and meanings. The best thing to do when looking for that perfect tattoo is taking the time to do your own research. This is important for several of different reasons. First, it gives you the opportunity to see everything that is available to you. You can search online and nearly find anything that you want. Secondly, it gives you an idea of what you like and want. You may see a design that is certain to be for you. Lastly, you can learn what that tattoo represents and means as a symbol. Nearly every tattoo symbol has meaning as a tattoo. Be sure to follow the link below to read about 20 great tattoo ideas for men and women.